2. Add the shrimp and salt. 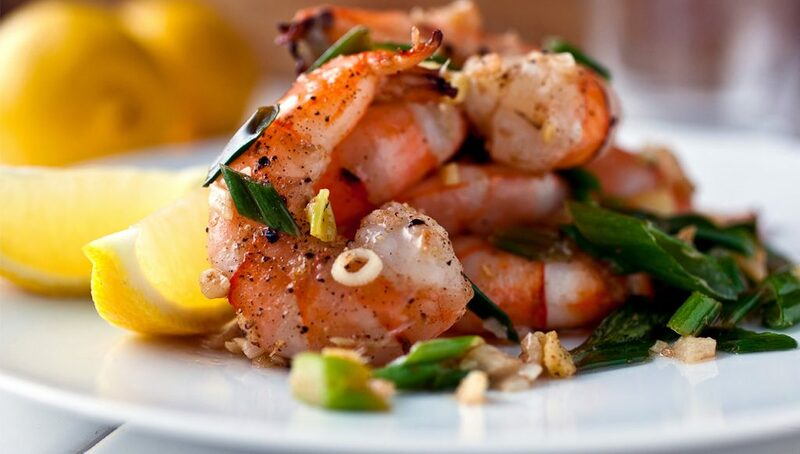 Cook, tossing occasionally, until shrimp are opaque, about 2 to 3 minutes. Stir in the green scallion pieces and cook until just wilted, 10 to 15 seconds. Season with lemon juice and black pepper. Serve with lemon wedges.